Cousin Pinkney Mikell is nurturing local honey bees at his organic farm, Cornfield, at Peters Point on Edisto Island. If you are lucky, you can find a jar of that golden nectar. In ancient cultures from Egyptians and Greeks to Mayans, honey was prized as food of the gods. Bees enjoyed reverence and worship in the form of bee gods and goddesses. I think the reason is that a bee colony is an organism that can teach us a great lesson about the importance of cooperation, and community, a taste of which this world needs more. Bees have been a symbol of wisdom since the age of the Druids. The Greeks and the Celts used the symbolism, as did cultures in India and Egypt, Sumerian mythology, and Christianity. 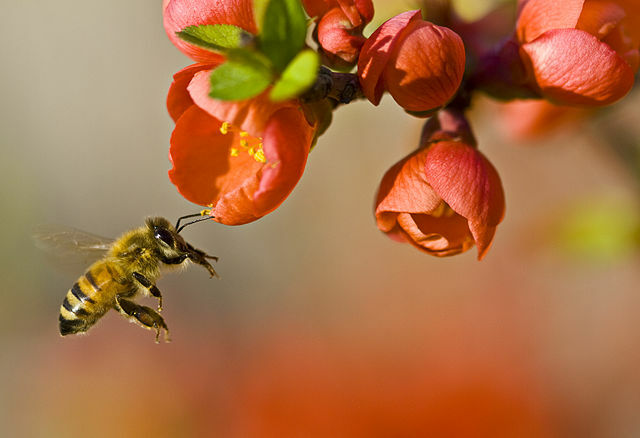 In English, Welsh, Irish, Greek, and assorted other languages, the word “bee” is caught up by sound or by root with the word for “to live” or “alive.” Well, yes! Maybe this is why bees were the symbols of sun gods, earth goddesses, and the Virgin Mary. Even Deborah, from the Old Testament of The Bible — whose name means “bee” — was a prophet who saved her city from invaders. I am inspired by this Queen Bee and her colony. They say that even Charles Darwin was scared of the knowledge to be found in the bee hive…..afraid their cooperative, altruistic lives could disprove his theory of evolution, perched as it was on that vicious idea of survival of the fittest. Beautiful photo! I love your thoughts on bees and be-ing.